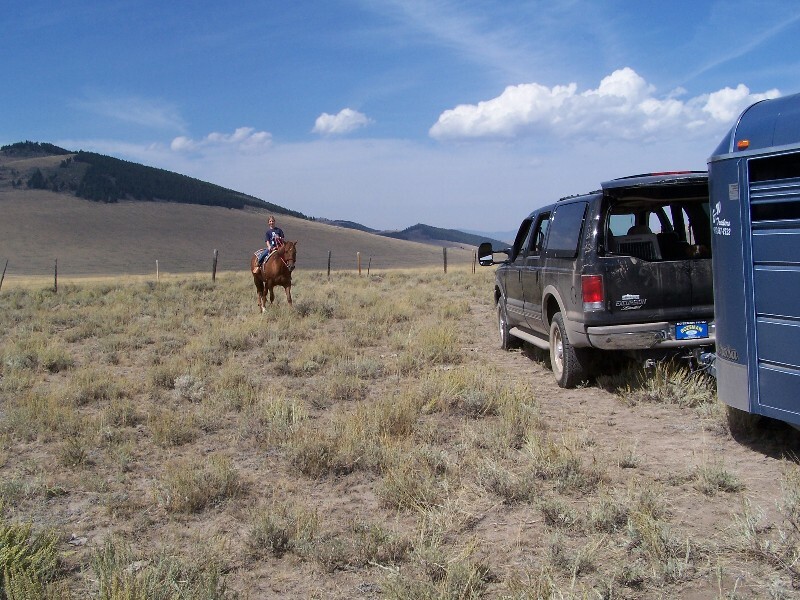 Bird Hunting In Montana: More Sage Grouse Hunting, 2005. 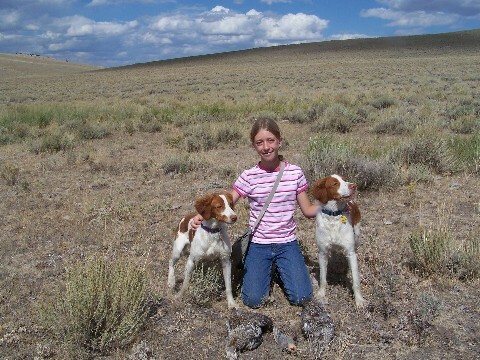 Sari with Maggie, Jesse, 2 sage grouse and a hun after a mornings hunt. Sari on Sheba hunting sages with Dad, 2005.